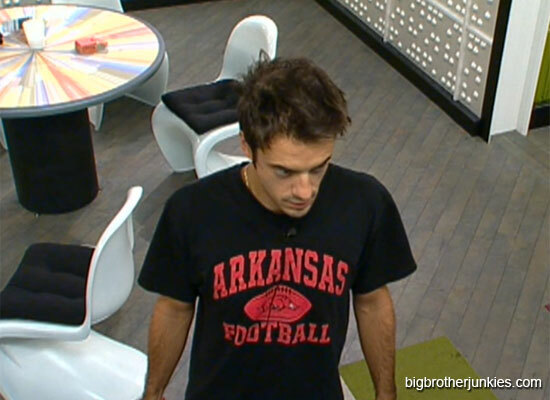 Home / Big Brother 14 / Big Brother 14 – Will Tonight Be Another Great Live Show? 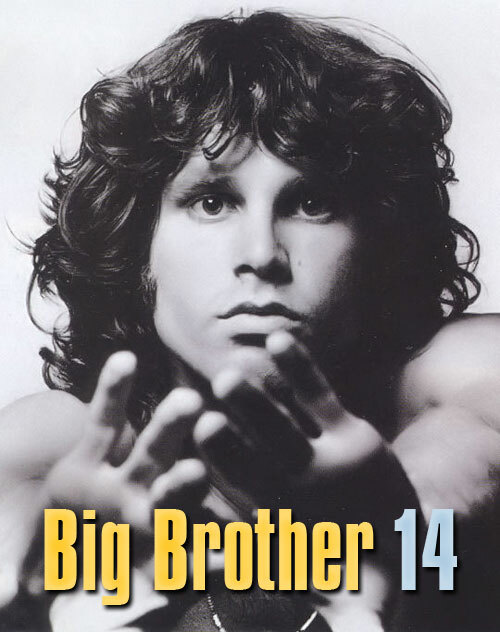 Big Brother 14 – Will Tonight Be Another Great Live Show? Tonight will be the last live show of the season before the finale, and it may end up being the best of the season. If you’re a fan of fairytale endings, you may not be too happy with the results, but if you are a fan of betrayal, strategy and dumb moves that reality shows provide, well buckle in. After being a huge target of Franks, it seemed like his time was finally over. Frank had him on the block and it appeared certain that Dan would be heading home that week. However, after planning his own Big Brother funeral, he opened up to the one person in the house who truly despised him and became allies. Frank then convinced Jenn to use the PoV and save his ‘arch rival’ from eviction, which ended up sending Britney packing. The very next week, Dan went and turned on his ally, voted out Frank, yet remained in good graces with people like Jenn. During a live show, Dan won HoH and attempted to get Ian out of the house, but convinced him he was a pure pawn up there. Ian then saved himself with PoV, and ended up forgiving Dan for it and never even ‘returned the favor’ as a gesture to the house. Honestly, the list is much longer than that, but I didn’t want to fully go through all of Dan’s masterful plans this summer. However, tonight’s plan is going to be the ultimate betrayal and shocker for both Danielle and Shane. Like I mentioned above, if it goes through, Shane will replace Dan on the block with the promise to vote out Ian. Dan on the other hand fully intends to get rid of Shane now that he’ll be the only vote. This will not only shock Shane, but completely shock his one trusted ally in the house – Danielle. She’ll be left confused, puzzled, and in tears as she is lied to yet again, and then realizes there is nobody left in the house for her. Once Shane is removed, it will kick off a 3 part HoH challenge, the first likely being endurance and that will likely happen tonight. This will be the last great opportunity to watch an epic battle as each person will feel they HAVE to win the challenge or they’ll go home. I will certainly be live blogging the event, but this should be a fantastic endurance competition and worth signing up to the feeds for. I only promote the feeds when I think it’s going to be entertaining, but thanks to Dan, they should be. If Dan pulls this off I will have to put him say he is one of the best ever. For those of you that believe lying isn’t part of this game you should watch something else. Last night on BBAD toward the end, they were all talking if invited would they come back to BB on some kind of All Star or Coach role. Shane said -paraphrasing- ‘it depends on where my career is at the time or if I am in a long term relationship’ Now why would he say to that everybody in the living room with Danielle sitting just 10 feet away. Shane you need every advantage to win this game. Now it’s look like bye bye. The look in Danielle eyes was very telling she was hurt and fighting the acceptance of a relationship outside the house was just wishful thinking on her part, despite the great date they just had with gymnasts. So I am not totally surprise that Dan as good as he is, convince Dani to take him off and put Shane up, despite Dan’s assurance of Ian being the target. Game wise Shane is the best not to take to F2, and Dani has to know that she can’t beat him F2 anyway, so it was her best strategic move to make. WOW! I have no idea how this guy can keep his job at a Catholic school without having ANY scruples at all. I suppose of the 3 left he thinks he deserves it but Ian did ALL of the dirty work, I hope Ian wins and Dan goes home to loose his job! Wow that’s harsh. Guessed you missed the part where this is just a game? I am with you Bev!! It’s just a game. Go Dan! Go Dan! Go Dan! Do people tuning into Big Brother really think all these people are always telling the truth? Just because Dan isn’t always truthful in the house doesn’t mean he is like that outside of the house. I do think Frank outside of the house does say the “F” word every other word , and passing gas, and doesn’t wear deodorant. Dan, has had to do what he has done to survive. He has had a huge taqrget on his back. He deserves to win. However, I believe the people in the jury may hold a grudge and not give him the money. I hope they realize he is playing a game and playing it well. I would have no problem of Dan being one of my kids teachers. Go Dan! Go Dan! Go Dan! If you’re taking a game like Big Brother that seriously you should probably take my previous advice and stick to watching Wheel of Fortune. This game clearly isn’t for you. Ian played the game exactly how Dan wanted him to. Every time he was HoH, Dan was “suggesting” to him who he should put up on the block. I’m telling you, the force is strong in this one. Is there anyone Dan can’t convince of anything? Is this some sort of power that only works in person? I’ve watched him talking them into things, and while at times, he is very convincing, at others, well, not so much. Don’t get me wrong, I’d probably be a Dani, that if I gained trust in him it would take me a while to break it, but come on!!! It’s been a while. I just don’t get how she would let him convince her that taking Dan down and Shane up makes any since at all. She knows Shane won’t stab her in the back. If he promises to vote out Ian, she knows he will. Dan on the other hand, just wanted to get Shane out, and told her it was on her if Shane didn’t stay true to them when he didn’t go after him. So what is she thinking risking Shane? It doesn’t make any since at all. I like Dan and admit he has played a good game, I agree that “lying” is a part of the game, but IMHO Dan stepped over the line when he swore on the bible to Frank and then turned around and had NO intention of honoring that agreement. The thing I don’t get is everyone in the house knows Dan ALREADY WON ONCE, but yet they don’t seem to REMEMBER THAT!!!! It’s semantics, but people have used the Flash Back feature to listen to that conversation, and Dan supposedly never swore on the Bible that he would take Frank to the F2, he swore on the Bible that he was telling the truth about the QP. You are right Dana. He swore that all he was saying was true about what had happened that Frank hadn’t known about. But since it was edited to look as bad as possible, people just assume it’s true. Because you know, they would never edit anything to add drama to the house, in turn increasing ratings. Heck, that whole conversation has been fueling websites, ratings and cooler talk. The sad thing is, a lot of people who have been told what really was said, don’t seem to care. They would rather crucify Dan for somthing he didn’t do, then believe the ones of us who did get to hear it. Plus the fact, he’s played this game before, short of pulling a bible out (which by the way, I never saw him put his hand on to swear, it was just in the room, but I could have been at the wrong camera angle) he’s done most of this before. His school, friends and family welcomed him home with open arms. So I really don’t think this time will be any different. What people seem to forget is that it’s a game. This isn’t a true representation of what anyone we are seeing is really like. They go in to this game knowing they will have to do some double dealing to get to the end, some people are just better at it then others. I watch Big Brother, Big Brother After Dark, and recently started watching the Live Feeds. I have never seen Dan swear on the Bible. I seen him swear on his necklace that was his Grandpa’s (supposeably) and his wedding ring, but not the bible. Who is to say that the ring he wore into the house is even his real wedding ring. Can some one show us where he swore on the bible because some how I missed it. IIRC, the first thing he did was touch the bible and say “I swear on this…” and then went on to point to his ring and necklace. IIRC. Oh please oh please oh please oh PLEASE pull this off and give Shane the boot! I really don’t know WHY he’d do it since Ian is the bigger threat jury-wise but still…SAVE THE NERD!! Because Shane won’t take him to the F2. Danielle and Ian will. And $50K is better than nothing! I forget is it $50,000 for 2 AND 3 place??? 3rd place gets nothing. If Dan or Danielle win the final HOH Ian will be evicted. He has a good chance of becoming America’s Favorite player and win $25, 00. I think Danielle knows in her heart (yes, I know how corny that sounds) that doing this will send Shane out. She has to know – if Ian were the target then she could leave the nominations the same. But she realizes that she could never get rid of Shane because of how she feels for him and she may think she can’t win against him in the F2 so this is her way of getting rid of him without having to do it on her own. She may not even consciously realize this herself and I’m sure she’ll be in hysterics tonight after he’s evicted. Christina, are you kidding me….he didn’t swear on the bible. I knew it. I watch religiously and I didn’t see him swear on the bible. It’s sad that Big Brother edit it in a way that people say these horrible things about him and want him to be fired from his job. I have been asking people to show me where he swore on the bible and no one so far has been able to show it. I guess because it never happened. Why is it so easy for people to believe the worse. Thank you Christina for the info. I hope he wins. He has out wit, and out played every one. Sorry Missy, but you are mistaken. He swore, just before putting his hand on the Bible, that everything he was about to say about what had happened up to that point in the game that Frank didn’t know about was true. He also swore on his wedding band and Grandpas cross. He then told him about other deals, the QP, that Ian was the “rat” not him, and so forth and so on. After they talked at length about that, then they started to discuss working together. Dan convinced Frank to take him off the block, and put Brit up, and then they shook hands. There was no swear to a deal with Frank. The swear was about the past, not the future. Lisa, no one will be able to tell you when it happened, because they either can’t prove it to be true, are going off the edited version they saw on CBS, or just believe whatever crap people say on here. Or they are unable to understand the conversation that they saw, and are unwilling to go back and watch the feeds to clarify their rants. They would rather be on a witch hunt and crucify Dan for somthing he didn’t do. And, BTW Missy, he is held to higher standards as a Catholic School Teacher, when he’s teaching in a Catholic School. Not when he’s on a game show to win money. WHOOOOOOOOOOOOO!!!!! That was frickin’ AMAZING. If Danielle or Ian wins the HOH both of them will take Dan to the final 2. If Dan wins he will be the first to win twice.